Brown, P. W. (2014). Basic of Evaporation and Evapotranspiration. Backyards & Beyond: Rural Living in Arizona , 8(3), 7-9. Brown, P. W. (2014). Basics of Evaporation and Evapotranspiration. Bulletin. College of Agriculture & Life Sciences , 4. Brown, P. W. (2014). Converting Reference Evapotranspiration into Turf Water Use. Bulletin. College of Agriculture & Life Sciences , 5. Bañuelos, J. B., Walworth, J. L., Brown, P. W., & Kopec, D. M. (2011). Deficit irrigation of seashore paspalum and bermudagrass. Agronomy Journal , 103(6), 1567-1577. Abstract: We compared the responses of 16 mm tall 'Tifsport', 'Tifway 419', 'Tifgreen 328', and 'MidIron' bermudagrass [Cynodon dactylon (L.) Pers. × Cynodon transvaalensis Davy], and 'SeaSpray', 'SeaDwarf', and 'Sea Isle 1' seashore paspalum (Paspalum vaginatum Swartz) to variable rates of irrigation applied using a linear gradient irrigation system in the semiarid Southwest. Target irrigation levels were 100, 80, 60, and 40% (2009) and 100, 80, 70, 60, and 40% (2010) of standardized reference evapotranspiration (ETos). Actual water applied (including rainfall) was 100, 83, 66, and 49% of ETos in 2009 and 100, 83, 75, 66, and 49% in 2010. Canopy temperatures increased as much as 15°C, quality (rated on a scale of 1-9) decreased from values of 6 or greater in turf irrigated with 100% ETos to 1.25 to 4.35 in turf irrigated with 40% ETos in July and August 2010, while dry matter production declined between 1.3 and 15.8 g m -2 d -1. Water application rates required to maximize turfgrass quality ratings across all turfgrasses ranged from 75 to 83% of ETos. Lower application rates were required for acceptable quality turfgrass (with quality ratings ≥6.0) and ranged from 66 to 75% of ETos for bermudagrass, and 75 to 80% of ETos for seashore paspalum. Spring green-up was delayed by deficit irrigation, approximately 2 wk with 80% ETos, 4 wk with 70% ETos, and 6 wk with 60% ETos. Bermudagrass, particularly MidIron, maintained higher quality ratings than seashore paspalum under accumulated water stress conditions. © 2011 by the American Society of Agronomy. Brown, P. W. (2007). Use of the ASCE Standardized Reference et Equation by agricultural weather networks in the western U.S.: Current status and future challenges. Examining the Confluence of Environmental and Water Concerns - Proceedings of the World Environmental and Water Resources Congress 2006 . Abstract: The procedures used by the public agricultural weather networks to estimate reference evapotranspiration (ETref) in the western United States were assessed to determine how many networks have adopted the ASCE Standardized Reference Evapotranspiration Equation ETszEQ. Five states now use the ETszEQ to generate ETref values. Several additional procedures are used to estimate ETref in the region. The most widely used procedures are 1982 Kimberly Penman Equation and the Nebraska Penman Equation. ETref values computed using these two Penman Equations were found to be similar to ETref values computed using the ETszEQ, suggesting a switch to the ETszEQ would not cause serious problems with existing irrigation management/crop water use programs in states using these two Penman Equations. © 2007 ASCE. Brown, P. W. (2005). Evapotranspiration of turfgrass located adjacent to a fallow desert soil: A quantitative assessment of the "edge effect". World Water Congress 2005: Impacts of Global Climate Change - Proceedings of the 2005 World Water and Environmental Resources Congress , 529-. Abstract: A field study was conducted using microlysimeters (ML) to assess the impact of advection on evapotranspiration (ET) of turfgrass in Tucson, AZ. A rectangular block (70 m × 45 m) of irrigated turfgrass ['Tifway' bermudagrass (Cynodan dactylon L. × C. transvaalinsis Davy) in summer overseeded in winter with 'Charger II' perennial ryegrass (Lolium perenne L.)] was planted in a 1.8 ha fallow agricultural field. Wind flow at the site was typically parallel to the long dimension of the block and decidedly periodic due to a mountain-valley flow regime. Parallel rows of ML were installed in the turf at varying distances from the two edges of the field subjected to advection. ET along the edge of the field subjected to afternoon advection averaged 10.8 and 8.2% higher than ET in the middle of the field in summer and winter, respectively. Enhancement of ET relative to the field middle was smaller for the turf edge subjected to evening and morning advection and averaged 6.8% in summer and 4.7% in winter. ET from MLs located 7 m from the edge of the field were typically within 5% of ET measured in the field middle, indicating the impact of advection diminishes rapidly with distance. A simple advective index computed from wind speed and vapor pressure deficit may prove useful in quantifying the impacts of advection. Copyright ASCE 2005. Brown, P. W., Mancino, C. F., Young, M. H., Thompson, T. L., Wierenga, P. J., & Kopec, D. M. (2001). Penman Monteith crop coefficients for use with desert turf systems. Crop Science , 41(4), 1197-1206. Abstract: Irrigation scheduling systems which estimate actual evapotranspiration (ETa) by adjusting reference evapotranspiration (ETo) with crop coefficients (Kcs) have been suggested as a means of improving irrigation management of turfgrass in the desert southwest. The objective of this study was to develop turfgrass Kcs for use with ETo computed by the Penman Monteith Equation recommended by the United Nations Food and Agricultural Organization (FAO). Crop coefficients were developed for fairway quality 'Tifway' bermudagrass (Cynodon dactylon L. × C. transvaalinsis Davy) in summer and overseeded 'Frog-hair' intermediate ryegrass (Lolium perenne × L. multiflorum) in winter by relating daily measurements of ETa obtained from weighing lysimeters to ETo computed with meteorological data. Monthly and seasonal Kcs were developed by (i) computing the mean of individual daily Kcs, (ii) dividing cumulative ETa by cumulative ETo for the period, and (iii) computing the slope of least squares regression lines relating ETa to ETo. The three computation procedures did not greatly affect the resulting Kc value. Bermudagrass Kcs ranged from 0.78 in June to 0.83 in September, with monthly variation related to turf growth rate. Use of a constant Kc of 0.80 would suffice for estimating ETa in summer. Monthly Kcs for intermediate ryegrass ranged from 0.78 in January to 0.90 in April and varied in relation to mean air temperature. Increased bulk surface resistance resulting from chill-induced reductions in stomatal conductance and/or a reduction in turf growth rate and leaf area index may lower ETa and Kcs during the colder winter months, making use of a constant seasonal Kc less suitable in winter. An inverse linear relationship was obtained between the coefficient of variation of mean monthly Kc and the ratio of measured to theoretical clear sky solar radiation, indicating Kcs are less reliable during periods of cloudy weather. Silvertooth, J. C., Ellsworth, P. C., McCloskey, W. B., Brown, P. W., Martin, E. C., & Moser, H. S. (1998). Integrated cotton management: a model system for central Arizona. Proceedings of the 1998 beltwide cotton conferences, San Diego, CA, USA, January 5-9 1999 , 81-83. Abstract: This project outlines an example of an irrigated cotton production system for a representative location in central Arizona (Maricopa; elev. 1175 ft). The system integrates all current guidelines and recommendations disseminated by the University of Arizona. Adjustments in this strategic outline will be required for actual implementation due to the crop growth, pest infestations, and weather conditions encountered during the season. Changes in this system also would be necessary to design a similarly integrated system for other locations or other transgenic varieties in Arizona. Steger, A. J., Silvertooth, J. C., & Brown, P. W. (1998). Upland cotton growth and yield response to timing the initial postplant irrigation. Agronomy Journal , 90(4), 455-461. Abstract: Cotton (Gossypium spp.) production in arid and semiarid regions depends on well-managed irrigation systems for optimum yield and production efficiency. Water deficit stress early in the growing season can affect the subsequent growth and development of short-season cotton. A 2-yr field study was conducted in southern Arizona to determine the optimum timing of the initial postplant irrigation for a short-season upland cotton variety based on midday leaf water potential (LWP) measurements, and to evaluate the season-long effects of delayed irrigation on subsequent plant growth patterns. In both years, the short-season upland variety, DPL 20, was planted into a Pima clay loam soil [fine-silty, mixed (calcareous), thermic Typic Torrifluvent] that had received a preplant irrigation of 152 (1993) or 254 mm (1994) approximately 3 wk prior 10 planting. Treatments, designated T1, T2, and T3, received the initial postplant irrigation when the average midday LWP of the uppermost, fully expanded leaf measured - 1.5, -1.9, and -2.3 MPa, respectively. Daily midday LWP measurements were taken using the pressure chamber technique. Soil water was measured at 25-cm depth increments using neutron attenuation. Plant height, number of mainstem nodes, nodes above white flower (NAWF), and canopy closure were measured at weekly intervals. All treatments reached maturity, as measured by NAWF ≤ 5, at approximately the same time during the growing season. Complete canopy closure was delayed in the T3 plots resulting in reduced interception and utilization of available solar radiation early in the growing season. When treatments were initiated, approximately 84% (T1), 62% (T2), and 32% (T3) of the total plant-available water (field capacity less permanent wilting point) was present in the upper 1.5 m of the soil profile. Yields were 1263, 1244, and 1110 kg lint ha-1 in 1993 and 1229, 1176, and 1095 kg lint ha-1 in 1994 for T1, T2, and T3, respectively. Lint yields were significantly different in 1993 (P = 0.001), indicating that timing the initial postplant irrigation affected plant growth and lint yield potential. Reicosky, D. C., Brown, P. W., & Moran, M. S. (1994). Diurnal trends in wheat canopy temperature, photosynthesis, and evapotranspiration. Remote Sensing of Environment , 49(3), 235-245. Abstract: Remote sensing technology to study vegetative canopies by measuring optical, thermal, and microwave signatures provides optimism for frequent characterization of plant performance in the field. Ground truth data are required in the calibration and the validation of satellite data. The objective of this work was to measure canopy temperature (CT), canopy photosynthesis (CER), and evapotranspiration (ET) of spring wheat (Triticum durum Desf. "Aldente") irrigated at two levels. A large portable field chamber (volume of 3.25 m3 and an area of 2.67 m2) enclosed the canopy, and CO2 and water vapor concentrations were measured at 2-s intervals for 60 s with an infrared gas analyzer operated in differential mode. Canopy temperature was measured with an infrared thermometer (4° FOV; 0.15 m dia spot size) mounted on the outside front corner of the chamber aimed 3 m directly in front of the chamber and represents the mean of 15 measurements. Other estimates of CT were obtained from a fixed infrared thermometer at the weather station and from low flying aircraft. Diurnal measurements were completed on 10 April 1989 when the wheat was in midflowering (Zadoks scale 65). Diurnal trends in CER showed differences between fully irrigated and deficit-irrigated plots. The small differences in ET and CT between irrigated and deficit-irrigated plots suggested minimum plant stress on deficit-irrigated plots, at least during the early part of the day. The cumulative daytime photosynthesis showed the irrigated plots averaged 28.9 g CO2 m-2 while the deficit-irrigated plots showed a 52% reduction in CER. The CT ranged from about 7°C near sunrise through a maximum of 27°C and then decreased to 15°C at sundown. The average cumulative daytime chamber ET was 8.41 mm and 7.69 mm for the fully and deficit-irrigated plots, respectively, which compared with reference ET of 8.91 mm and aircraft estimate of 8.93 mm. Diurnal trends in CT and ET showed a stronger association and were similar for both irrigated and deficit-irrigated plots. © 1994. Daughtry, C. S., Kustas, W. P., Moran, M. S., Pinter Jr., P. J., Jackson, R. D., Brown, P. W., Nichols, W. D., & Gay, L. W. (1990). Spectral estimates of net radiation and soil heat flux. Remote Sensing of Environment , 32(2-3), 111-124. Abstract: Conventional methods of measuring surface energy balance are point measurements and represent only a small area. Remote sensing offers a potential means of measuring outgoing fluxes over large areas at the spatial resolution of the sensor. The objective of this study was to estimate net radiation (Rn) and soil heat flux (G) using remotely sensed multispectral data acquired from an aircraft over large agricultural fields. Ground-based instruments measured Rn and G at nine locations along the flight lines. Incoming fluxes were also measured by ground-based instruments. Outgoing fluxes were estimated using remotely sensed data. Remote Rn, estimated as the algebraic sum of incoming and outgoing fluxes, slightly underestimated Rn measured by the ground-based net radiometers. The mean absolute errors for remote Rn minus measured Rn were less than 7%. Remote G, estimated as a function of a spectral vegetation index and remote Rn, slightly overestimated measured G; however, the mean absolute error for remote G was 13%. Some of the differences between measured and remote values of Rn and G are associated with differences in instrument designs and measurement techniques. The root mean square error for available energy (Rn - G) was 12%. Thus, methods using both ground-based and remotely sensed data can provide reliable estimates of the available energy which can be partitioned into sensible and latent heat under nonadvective conditions. © 1990. Brown, P. W. (2016, December). Humidity, Hay Moisture & Harvest Management. In 2015 Western Forage Conference , 9. Brown, P. W. (2016, Calendar Year). 28 Presentations Made to Stakeholder Groups . Multiple. See Attached List: See Attached List. Brown, P. W. (2015, Apr. 23, 2015). Volunteer Registration & Protection . Master Gardening Planning & Coordination Meeting. Phoenix, AZ: AZ Cooperative Extension. Brown, P. W. (2015, April 1, 2015). Weather Implications for Crop Management . Yuma County Agronomic Workshop. Yuma, AZ. : AZ Cooperative Extension. Brown, P. W. (2015, April 15, 2015). Arizona Cooperative Extension Update . Faculty Meeting, Department of Agriculture and Biosystems Engineering. Tucson, AZ. : Univ of AZ. Brown, P. W. (2015, Aug 28, 2015). Drought Update: Status & Potential Impact of Strong El Niño . Arizona Pecan Growers Annual Meeting. Tucson, AZ. : AZ Pecan Growers Assn..
Brown, P. W. (2015, Dec. 4, 2015). Humidity, Hay Moisture & Harvest Management . Western Alfalfa & Forage Symposium. Reno, NV. : CA Alfalfa & Forage Assn. Brown, P. W. (2015, Environmental Conditions & Pest Management, Alfalfa Pest Management Meeting, Mar 31, 2015, Parker, AZ). Environmental Conditions & Pest Management . Alfalfa Pest Management Meeting. Parker, AZ: AZ Cooperative Extension. Brown, P. W. (2015, Feb. 16, 2015). Growing Season Weather and Water Supply Conditions . Pima County Field Crops Meeting. Marana, AZ. : AZ Cooperative Extension. Brown, P. W. (2015, Feb. 17, 2015). Growing Season Weather and Water Supply Conditions . Pinal County Field Crops Meeting. Casa Grande, AZ: AZ Cooperative Extension. Brown, P. W. (2015, Feb. 18, 2015). Estimating the Water Requirements of Vegetation . ENVS 454/554. Tucson, AZ: Univ of AZ. Brown, P. W. (2015, Feb. 26, 2015). Weather Patterns & Water Challenges in the Lower Colorado River Basin . Southwest Ag Summit. Yuma, AZ. : SWAG Summit. Brown, P. W. (2015, Feb. 4, 2015). The New SE Arizona Agricultural Weather & Frost Forecast Program . 36th Annual Southern Arizona Ag Day. Willcox, AZ. : Southern AZ Ag Day Committee. Brown, P. W. (2015, Jan 7, 2015). Principles of Irrigation Management II, When & How Much Water To Apply? . Desert Turf School. Phoenix, AZ. : AZ Cooperative Extension. Brown, P. W. (2015, Jan 7, 2015). Principles of irrigation Management III, Water Quality & Salinity Management . Desert Turf School. Phoenix, AZ . : AZ Cooperative Extension. Brown, P. W. (2015, Jan. 7, 2015). Principles of Irrigation Management I, Evapotranspiration . Desert Turf School. Phoenix, AZ. : AZ Cooperative Extension. Brown, P. W. (2015, Jul. 1, 2015). Monsoon and Weather Update . Cotton Tent Talk. Goodyear, AZ. : AZ Cooperative Extension. Brown, P. W. (2015, Jul. 8, 2015). Hay Moisture and Humidity . Alfalfa Tent Talk. Buckeye, AZ. : AZ Cooperative Extension. Brown, P. W. (2015, Jul. 9, 2015). Monsoon and Weather Update . Alfalfa and Cotton Tent Talk. Goodyear, AZ. : AZ Cooperative Extension. Brown, P. W. (2015, June 3, 2015). Hay Moisture & Weather: Implications for Hay Harvest . New Technologies for Arizona Field Crops Workshop. Maricopa, AZ. : AZ Cooperative Extension. Brown, P. W. (2015, Mar 3, 2015). Appropriate Early Season and Planting Decisions to Avoid the Seedling Disease Complex . 5th Annual Farm-Home-Ranch Day. Safford, AZ. : AZ Cooperative Extension. Brown, P. W. (2015, Mar. 23, 2015). Frost & Frost Management . Weed Management & Meteorology Seminar. Scottsdale, AZ. : Cactus and Pine Golf Course Superintendents Assn. Brown, P. W. (2015, Mar. 25, 2015). Hay Moisture & Weather: Implications for Hay Harvest . Arizona Alfalfa and Forage Crops Meeting. Maricopa, AZ. : AZ Cooperative Extension. Brown, P. W. (2015, March 23, 2015). Turf Weather Update . Weed Management & Meteorology Seminar. Scottsdale, AZ. : Cactus and Pine Golf Course Superintendents Assn. Brown, P. W. (2015, May 26, 2015). Evapotranspiration (ET): Evaporation from Vegetation . ENVS 461/561. Campus Agricultural Center, Tucson, AZ: Univ of AZ. Brown, P. W. (2015, May 28, 2015). Best Practices for Choosing & Siting Weather Equipment . Workshop on Managing Weather and Climate Extremes. Willcox, AZ: AZ Cooperative Extension. Brown, P. W. (2015, May 6, 2015). Weather Implications: Crop Management . Desert Ag Conference. Chandler, AZ. : AZ Crop Protection Assn & AZ Nursury Assn. Brown, P. W. (2015, Oct. 21, 2015). Weather & Climate Update: A Super El Niño? . New Mexico Pecan Growers Conference. Las Cruces, NM: New Mexico Pecan Growers Assn..
Brown, P. W. (2015, Oct. 27, 2015). AZPDN & Cooperative Extension . Annual Meeting, Arizona Plant Diagnostics Network. Tucson, AZ. : AZPDN. Brown, P. W. (2015, Oct. 28, 2015). Humidity & Hay Moisture . , Central Arizona Farmers Day. Maricopa, AZ. : AZ Cooperative Extension. Brown, P. W. (2015, Sep 10, 2015). Update on the Strengthening El Niño: Potential Impacts for the Winter Golf Season . Marriott Regional Golf Meeting. Tucson, AZ. : Marriott Golf. Brown, P. W. (2015, Sep 10, 2015). Water Management of Desert Turf Systems . Regional Marriott Regional Golf Meeting. Water Management of Desert Turf Systems, Marriott Regional Golf Meeting, Sep 10, 2015, Tucson, AZ. : Marriott Golf. Brown, P. W. (2015, Sep. 2, 2015). Update on the Strengthening El Niño: Potential Impacts for the Upcoming Winter . 2015 Pre-Season Vegetable Workshop. Yuma, AZ. : AZ Cooperative Extension. Brown, P. W., & Kopec, D. M. (2015, Aug. 14, 2015). Water & the Arizona Golf Industry: A Research Perspective . Town Hall Meeting: Water for Turfgrass in Arizona. Scottsdale, AZ. : Cactus and Pine Golf Course Superintendents Assn. Brown, P. W., & Plummer, B. (2015, Oct. 8, 2015). Irrigation Management in Yuma County . Water Resources Research Center Seminar. Tucson, AZ. : WRRC Univ. of AZ. Brown, P. W. (2014, August). Current Weather Trends: Impacts on Water & Agriculture . Western Cotton Shippers/Supima Annual Meeting. Coalinga, CA. Brown, P. W. (2014, August). Weather Occurrences Affecting AZ Agriculture . 2014 Annual Meeting, Arizona Pecan Growers Assn. Tucson, AZ: AZ Pecan Growers Assn. Brown, P. W. (2014, August). Weather and Irrigation: Estimating Turf Water Use . Dynamics of Weather and Climate Forecasting and the Tools for Turf and Crop Management. Phoenix, AZ: AZ Cooperative Extension. Brown, P. W. (2014, December). Effect of Environmental Conditions on Leafhopper . Leaf Hopper/Alfalfa Meeting. Mohave Valley, AZ: AZ Cooperative Extension. Brown, P. W. (2014, February). Weather Implications for Crop Management . Southwest Ag Summit. Yuma, AZ: Yuma Fresh Vegatable Assn. Brown, P. W. (2014, January). Principles of Irrigation Management: ET & Turf Water Use . 2014 Desert Turf School. Phoenix, AZ: AZ Cooperative Extension. Brown, P. W. (2014, January). Principles of Irrigation Management: Salinity Management . 2014 Desert Turf School. Phoenix, AZ: AZ Cooperative Extension. Brown, P. W. (2014, January). Principles of Irrigation Management: Soils & Irrigation Scheduling . 2014 Desert Turf School. Phoenix, AZ: AZ Cooperative Extension. Brown, P. W. (2014, July). Arizona Cooperative Extension . Urban Pest Control Advisors Meeting. University of Arizona: University of Arizona. Brown, P. W. (2014, July). Climate Update and Implications for Pest Management . Summer Pest Management Workshop. Parker, AZ: AZ Cooperative Extension. Brown, P. W. (2014, July). Cooperative Extension Update . Arizona Wine Summit. 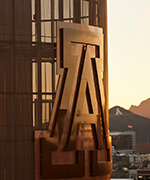 University of Arizona: Colllege of Agriculture and Life Sciences. Brown, P. W. (2014, July). Cotton Heat Stress: Impacts on Crop Development, Fruit Retention and Pest Management . Cooperative Extension Field Crops Meeting. Casa Grande: AZ Cooperative Extension. Brown, P. W. (2014, July). Cotton Heat Stress: Impacts on Crop Development, Fruit Retention and Pest Management . Cooperative Extension Field Crops Meeting. Marana: AZ Cooperative Extension. Brown, P. W. (2014, July). Weather Implications for Crop Management . Summer Ag Management Workshop. Yuma, AZ: AZ Cooperative Extension. Brown, P. W. (2014, June). Arizona Meteorological Network . Weather/Climate Training Workshop. Willcox: AZ Cooperative Extension. Brown, P. W. (2014, June). What's New in Weather Related Technologies? . New Technologies for Arizona Field Crops Workshop. Maricopa, AZ: AZ Cooperative Extension. Brown, P. W. (2014, March). Spring Weather Outlook: Impact on Pest and Crop Management . Cooperative Extension Field Crops Clinic. Casa Grande: AZ Cooperative Extension. Brown, P. W. (2014, March). Spring Weather Outlook: Impact on Pest and Crop Management . Cooperative Extension Field Crops Clinic. Marana: AZ Cooperative Extension. Brown, P. W. (2014, March). Weather Update: Crop & Pest Management Implications . Graham County Farm, Home and Ranch Day. Safford, AZ: AZ Cooperative Extension. Brown, P. W. (2014, March). Weather Update: Spring Forecast, Online Weather Information, Weather & Hay Moisture . Cooperative Extension Field Crops Clinic. Avondale, AZ: AZ Cooperative Extension. Brown, P. W. (2014, May). Estimating Landscape Water Use . SWES 454/554. Karsten Turf Center: University of Arizona. Brown, P. W. (2014, May). Measurement & Estimation of Evapotranspiration . SWES 461/561 Summer Session Class. Tucson, AZ. Brown, P. W. (2014, May). Reclamation of Saline-Sodic Fairway Soils . 2014 Karsten Turf Field Day. Tucson, AZ: University of Arizona. Brown, P. W. (2014, May). Weather Implications for Pest Management . Early Summer La Paz County Agronomic Workshop. Parker, AZ: AZ Cooperative Extension. Brown, P. W. (2014, May). Weather Implications: Crop Management . 2014 AZCPA Desert Ag Conference. Chandler, AZ: Arizona Crop Protection Assn. Brown, P. W. (2014, Ocotober). Weather Update: Return of El Nino? . 4th Annual Central Arizona Farmer Field Day. Maricopa, AZ: Arizona Cooperative Extension. Brown, P. W. (2014, October). Regional Climate Forecast . New Mexico Pecan Growers' Organization Field Day.. Las Cruces, NM: New Mexico State University. Brown, P. W. (2014, September). Cooperative Extension . 2014 Western Region Administrative Officers' Meeting. Tucson, AZ: Western Region Administration. Brown, P. W. (2014, September). Irrigation Management: Update on Crop Water Requirements . NRCS/Extension "Soil Health" In-Service Training. Maricopa, AZ: AZ Cooperative Extension. Brown, P. W. (2014, September). Weather Update: Return of El Nino? . Preseason Vegetable Workshop. Yuma, AZ: AZ Cooperative Extension. Mostafa, A. M., Ellsworth, P. C., Brown, P. W., Ottman, M. J., Mccloskey, W. B., Mostafa, A. M., Ellsworth, P. C., Brown, P. W., Ottman, M. J., Mccloskey, W. B., Mostafa, A. M., Ellsworth, P. C., Brown, P. W., Ottman, M. J., & Mccloskey, W. B. (2014, July 1). Alfalfa “Tent Talks” Meeting . University of Arizona Cooperative Extension. Jason Rovey's Farm, Buckeye, AZ. Killebrew, A., Papuga, S. A., Brown, P. W., Walworth, J. L., & Pope, A. J. (2016, Spring). Quantifying pecan water use in southern Arizona: a two-year study . UA Earth Week Student Symposium. Killebrew, A., Papuga, S. A., Brown, P. W., & Walworth, J. L. (2015, Spring). On quantifying pecan water use in Arizona: knowledge about phenological activity can help inform management decisions . UA Earth Week Student Symposium. Brown, P. W., Nolte, K. D., & Sanchez, C. A. (2015. Chapter 3. Irrigation Management in Yuma County(p. 108). Weekly advisory that provides estimated crop water use for the previous week and projected water use for the coming week. Published from 1 April through 15 October. Website providing access to data and information pertaining to turf irrigation management in Phoenix. Daily heat stress report available online from 1 June through 30 September. Online lawn water guide for Payson and Prescott update daily. Report that provides estimated turf water use for the most recent 1, 3 and 7 days for Tucson. Report is updated daily. Provides turf water use estimates for the previous, 1, 3 and 7 days for selected locations in Phoenix. Updated daily. Estimated turf water use values published daily in area newspapers. Turf water use report that provides water use for the most recent 1, 3 and 7 days. Update daily and made available online and via email. Weekly advisories generated for 14 locations from 1 March through 15 May. Online heat stress report updated daily for locations along the Colorado River. Available 1 June through 30 September. Location specific heat stress reports updated daily and available online from 1 June through 30 September. Weiss, J. L., Crimmins, M. A., Garfin, G. M., & Brown, P. W. (2016, March). El Nino 2015-2016: Will It Affect Snow in Arizona's Highcountry. Brown, P. W. (2015, September). El Nino Update: Central Arizona. Brown, P. W. (2015, September). El Nino Update: Southwest Arizona. Brown, P. W., Garfin, G. M., Crimmins, M. A., & Weiss, J. L. (2015, December). El Nino 2015-2016: Will It Affect Minimum Temperatures Across Arizona. Brown, P. W., Garfin, G. M., Crimmins, M. A., & Weiss, J. L. (2015, October). El Nino 2015-2016: Will It Influence Tropical Cyclones that Affect Arizona. Brown, P. W., Garfin, G. M., Crimmins, M. A., & Weiss, J. L. (2015, September). El Nino 2015-2016: An Overview of What It Might Mean for Arizona.